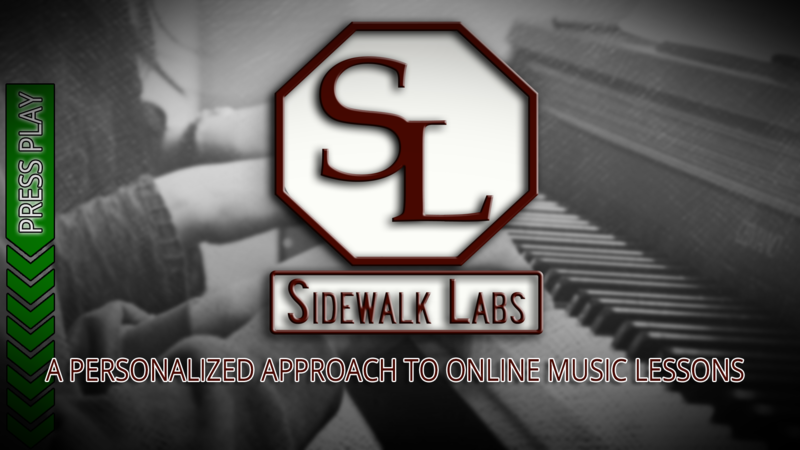 Welcome to Sidewalk Labs Personalized Music Lessons! Hi! I'm Aaron, and I'm pleased to be able to offer you online, personalized music lessons with Sidewalk Labs. I've been teaching music for fifteen years, and in that time I've developed a unique project oriented approach that allows you to explore music at your own pace and follow your own curiosity, while still developing a comprehensive understanding of performance and music theory. Since each student is unique, I provide a personalized curriculum oriented specifically towards your musical goals. Sidewalk Labs offers a variety of monthly packages, and there's a sample student page in the sidebar on your right. When you're ready, click the button to apply, and if you have any questions, don't hesitate to contact me at the link at the top of the page. I look forward to guiding you on your own journey of musical development. Apply for a Personalized Subscription!